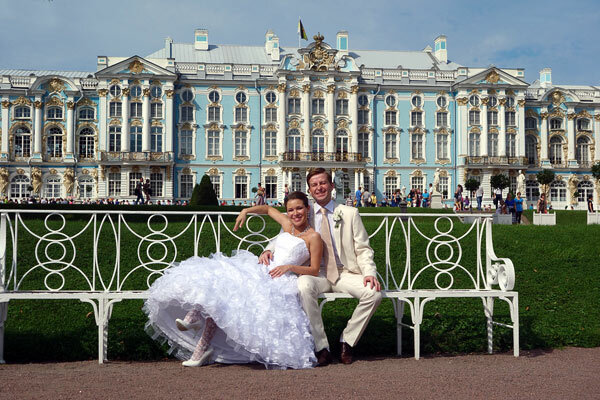 Could yours be a wedding St Petersburg style? To pop the question on Valentine's Day, a city must be romantic. 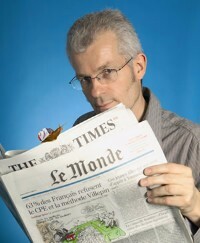 Think Paris. Think Venice. But, above all, think ST PETERSBURG says city-pick St Petersburg editor, Heather Reyes. Because, according to research travel money specialists No 1 Currency, it's the best choice for UK lovers in search of somewhere special on February 14th. Return flights for two people and three nights in a luxury four star hotel will cost you £521 in Russia's most romantic city. This compares to £773 for Venice and £762 for Paris. The BBC's recent serialisation of War and Peace and the various TV programmes cashing in on a re-awakened interest in Russian history and culture should definitely give more of us an idea of just how magnificent St Petersburg is. Yes, the story travels between St Petersburg and Moscow, but Moscow isn't 'romantic'. The vastness of Red Square, those images of endless military May Day parades, the strangeness of those Disney-looking onion-dome churches ... Interesting, yes. Romantic, no. A romantic city must also have a rich history and cultural life that lovers can feel passingly part of. Again, think ST PETERSBURG. History and culture in oodles and an historic centre that is one of the most exquisite in the world. But it's a city with youth on its side, too. Peter the Great founded it in 1703 - a mere youngster in terms of our great European cities - to be Russia's window onto Europe and its new capital. It is, indeed, the nearest of the great Russian cities - and definitely the most beautiful, though the capital was moved back to Moscow by Stalin (who loathed St Petersburg - another reason to love the city, perhaps). It won't come as a surprise that writers have called St Petersburg a "second Paris" and "Venice of the north", as "an enchantress," "seductive, charming, and a little eccentric", and that one can experience a "frisson of enchantment and disbelief at the beauty of the canals and architecture" in this "cradle of Russian poetry". And there's even a St Petersburg wedding-day tradition of having those essential, romantic photos taken against the many beguilingly beautiful backdrops the city has to offer. So, feeling a little bit romantic with the approach of Valentine's Day? St Petersburg could be just the place for those in search of a real Russian romance.